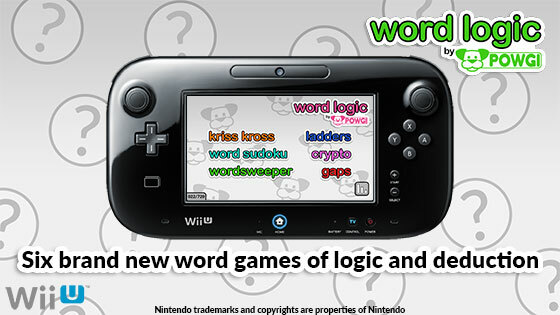 Six more POWGI word puzzles for Wii U, this time with a focus on logic and deduction. 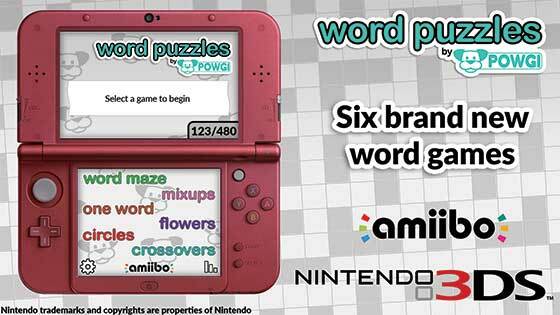 Six more POWGI word puzzles for Nintendo 3DS. This compilation features puzzles that are solved using logic and deduction. 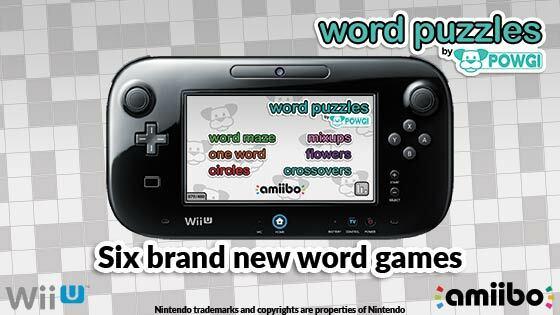 Enjoy more great POWGI word puzzles with this bumper collection of six new games for Wii U! 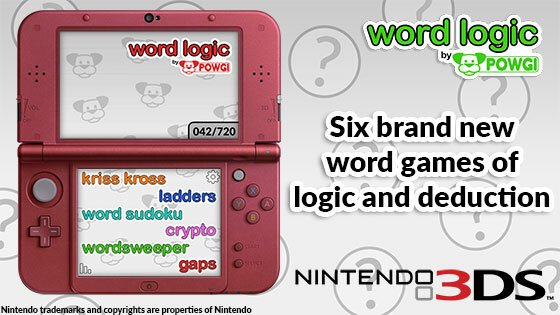 Enjoy more great POWGI word puzzles with this bumper collection of six new games to take anywhere on Nintendo 3DS! 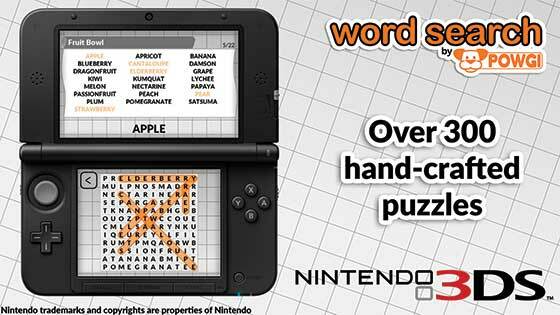 More than 300 hand-crafted word search puzzles to solve – and to take anywhere on Nintendo 3DS! 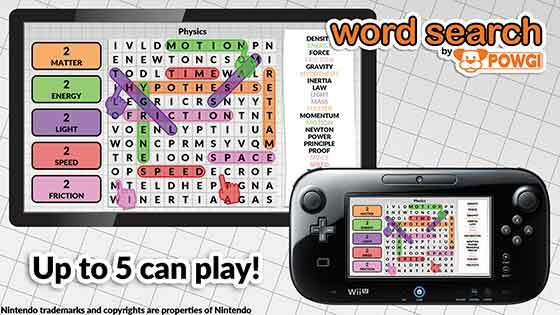 Hundreds of word search puzzles to solve on your own – or with friends!